I had a great time with my family in this apartment! You truly have a first row to the sea and the balcony is perfect for watching a mesmerizing sunset. The apartment was clean, well equipped and big enough for us. There was even a pool, which would have been great for the kids, only the weather was too cold for that now. 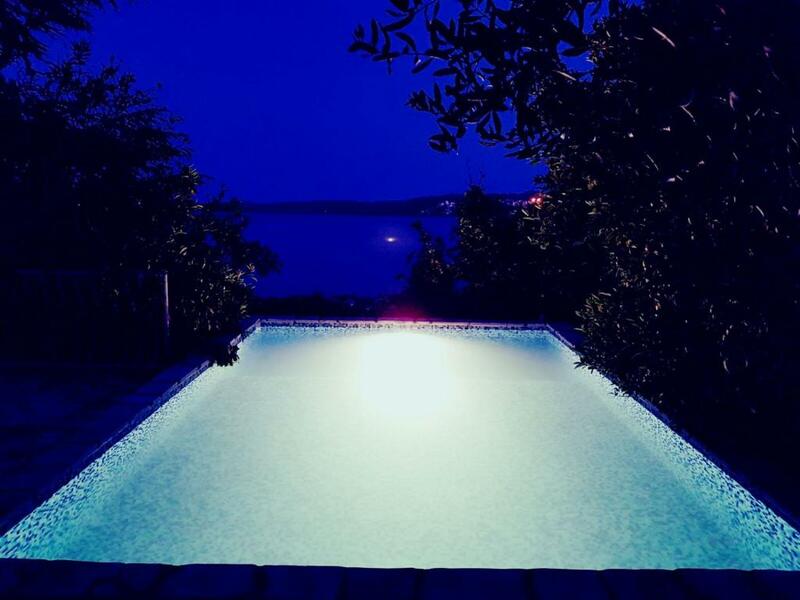 Definitely a recommendation if you want to enjoy the beautiful nature and culture of Dalmatia. The pool and the Outdoor areas were so nice and pretty. The hosts were really friendly and sweet. It was nice, that We were able to buy drinks. Very nice hosts! Very close to the beach! (since it was at the beach) Good aircondition. nice view. They had their own fridge were we could easily pick what we wanted to drink and just pay at check out, and they trust us on how much we took. Excellente position. La plage en bas d'escalier. La piscine idéale pour les enfants. Le barbecue avec le bois des vignes super pratique. Vin local et l'huile d'olive d'une qualité remarquable. Les hôtes super sympa. Super lokalizacja to największy atut tego miejsca. Znad basenu na plaże jest kilka metrów, wiec można dowolnie się przemieszczać. Piękne otoczenie domu - zieleń, prysznic ogrodowy, zwierzęta😀 Super kontakt z właścicielami. Miły drink powitalny z przekazaniem wszelkich informacji. Sköldpaddorna i trädgården och kort avstånd till havet. Fantastisk beliggenhet og veldig rene rom. Vertskapet var veldig hyggelige og behjelpelige. 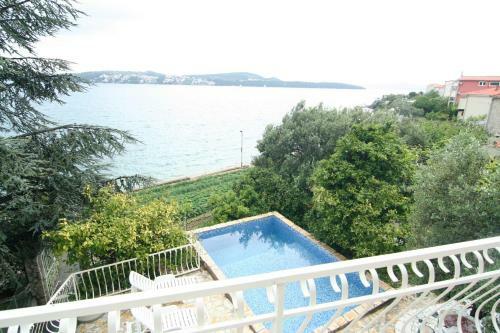 Sitio muy tranquilo al lado de la playa y con un piscina ideal para el último refresco de la tarde, y relativamente cerca de Trogir (10 minutos en barca) y de Split (30 minutos en coche). La gente de los apartamentos muy amable y atentos con todo los que solicitamos. Lock in a great price for Apartments Marta – rated 8.2 by recent guests! Apartments Marta This rating is a reflection of how the property compares to the industry standard when it comes to price, facilities and services available. It's based on a self-evaluation by the property. Use this rating to help choose your stay! One of our top picks in Trogir.Featuring a heated outdoor swimming pool overlooking the sea, Apartments Marta offers self-catering accommodations with a private balcony or terrace. Free WiFi access is available in all areas. The air-conditioned apartments come with a dining area and fully-equipped kitchen. They also include a lounge area with satellite TV. Laundry facilities are provided in most apartments. 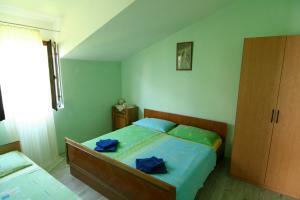 The apartment building offers a large garden with citrus trees and a BBQ area. Guests can also relax by the pool. A billiards table and dartboard can be found on site. Marta Apartments is located just 2 minutes' drive from Seget Donji and 7 minutes' drive from Seget Vranjica. 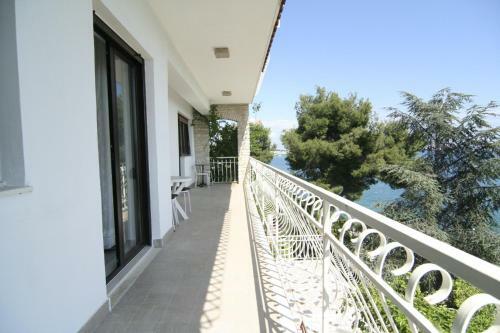 Split Airport is only a 10-minute drive from the property. Donji Seget is a great choice for travelers interested in fish markets, gourmet food and hot weather. When would you like to stay at Apartments Marta? 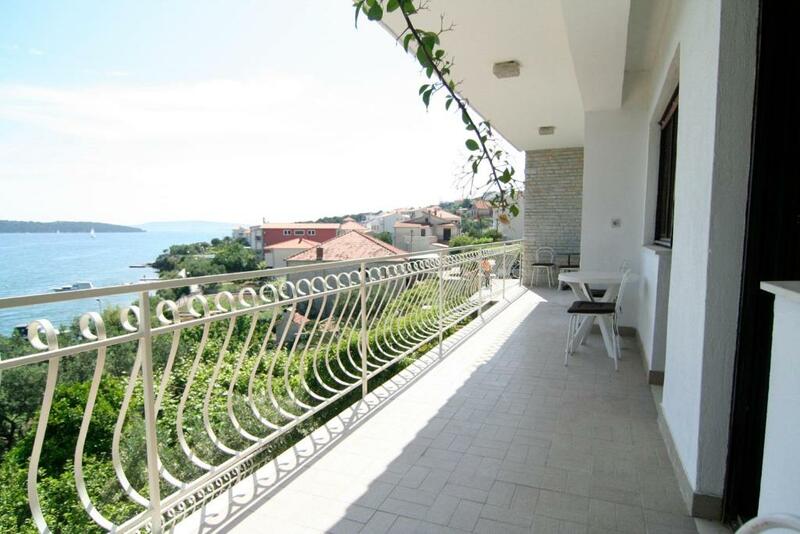 Featuring a balcony with sea views, this air-conditioned apartment comes with a dining area and fully-equipped kitchen. There is also a lounge with satellite TV. Laundry facilities are provided. 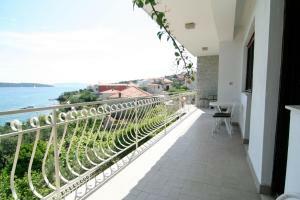 Featuring a balcony with sea views, this air-conditioned apartment comes with a dining area and fully-equipped kitchen. There is also a lounge with satellite TV. Featuring a balcony, this air-conditioned apartment comes with a dining area and fully-equipped kitchen. There is also a lounge with satellite TV. Featuring a heated outdoor swimming pool overlooking the sea, Apartments Marta offers self-catering accommodation with a private balcony or terrace. Free WiFi access is available in all areas. It has outdoor shower, Fontana, fireplace with table, sun beds for beach and sun beds for swimming pool area. 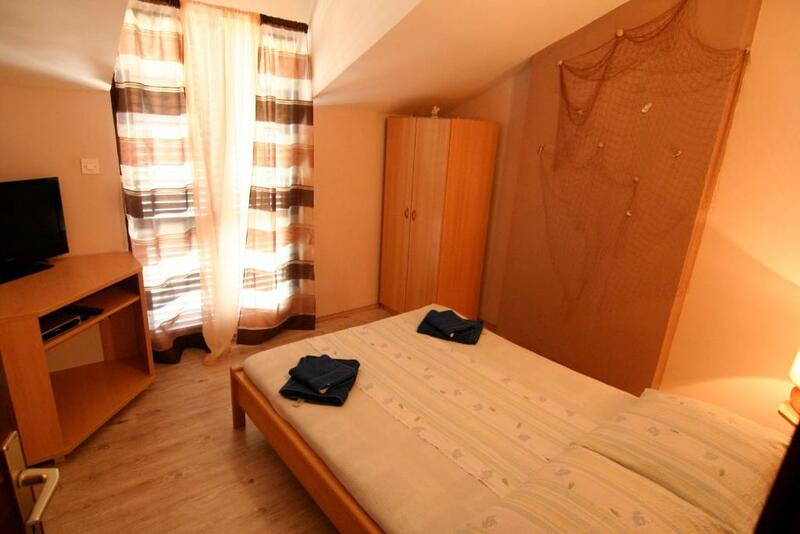 House is 15 meters from the sea/ beach, It has private mooring for boat. The air-conditioned apartments come with a dining area and fully-equipped kitchen. They also include a lounge area with satellite LCD TV. Laundry facilities are provided. The apartment building offers a large garden with citrus trees and a BBQ area. Apartments Marta have 5 apartments, of those 3 small and 2 big apartments. 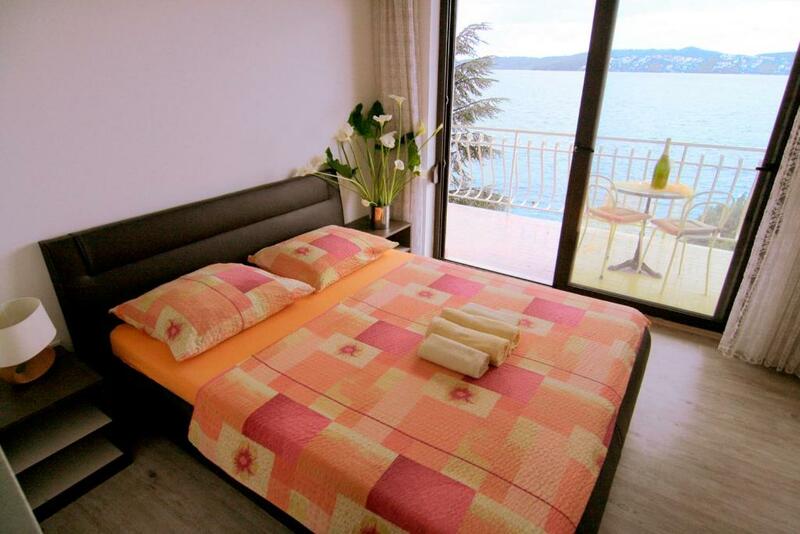 All apartments have shower in bathrooms, terraces with sea view 4 apartments, one doesn’t have. 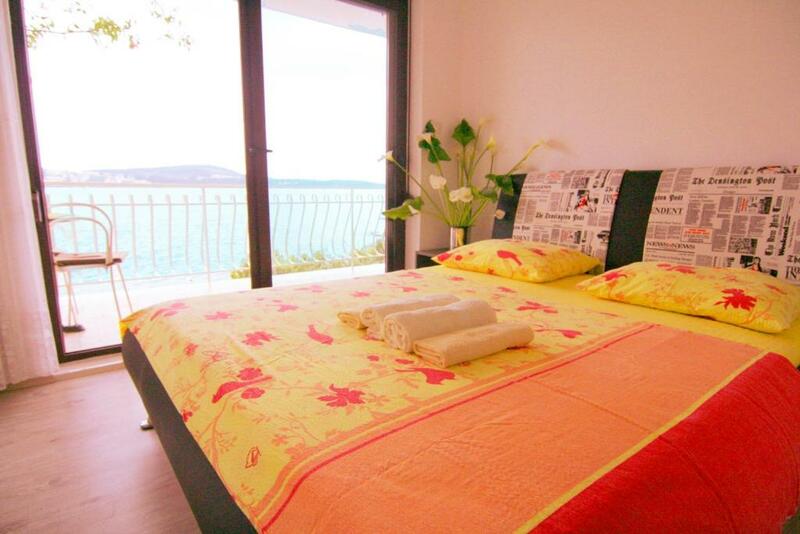 Marta Apartments is located in Seget Donji in Trogir area .Split Airport is only a 10-minute drive from the property. Area Info – This neighborhood is a great choice for travelers interested in fish markets, gourmet food and hot weather – Check location Excellent location – show map Guests loved walking around the neighborhood! House Rules Apartments Marta takes special requests – add in the next step! Please note that the swimming pool, as well as WiFi, are available only during the summer months. The start cleening could have been better. There were a lot of dust behind the beds. The inside dining table were not very stable. It was very small for 4 persons. The internet was not good. The flat was not up to our expectations what so ever .It was so bad we had to make excuses to leave after the first night as it would have ruined our holiday and we felt we should have got our money back as we felt the description on the website was very misleading It was very tricky to find being down a very narrow back alley way with no signs or numbers and we had to get the taxi diver to make phone calls to find it . The apartment was rather disappointing for the money it cost@£120 euros per night( it wasnt worth 60 euros per night).We did arrive early and it was being cleaned by a a friendly girl but we felt it was extremely shabby and had seen better days . We had no room to sit inside except at a little kitchen table which felt extremely cramped and dark and gloomy .The bathroom door had a window with no curtain so you could see through inside to the toilet which was an invasion of personal privacy . The bed was so so uncomfortable and creaked badly when you turned over , we could not sleep ,the pillows were lumpy and the sheets had seen better days .It had cheap second hand type furniture .The bedroom doors did not fit and blew open ,the balcony was very narrow with uncomfortable chairs so awkward to sit out on .At night there was a party of 10 beneath us who were so loud and noisy till 2-3 am that we could not sleep It had steep steps so not child friendly .The pool was so tiny it was more of a Jacuzzi size than an actual pool to swim in . The garden was shabby and needed a good tidy up and the owners just sat there talking loudly whist we tried to chill out by the pool. A lot of stairs, not very convenient with stroller. A bit uncomfortable chairs in the apartment.